Former Belfast Celt Paddy O'Connell will soon receive the small screen treatment in a film made for the Irish Language television station TG4. The man who made Barcelona, managing them successfully through the period of the Spanish Civil War, is the subject of a major documentary, made by Belfast outfit Tobar Productions, to be broadcast in 2012. A film crew from Tobar recently visited the Belfast Celtic museum and grilled members of the Society about O'Connell's time in Belfast and the character of the city when the stopper was crossing the chalk at 'Paradise'. 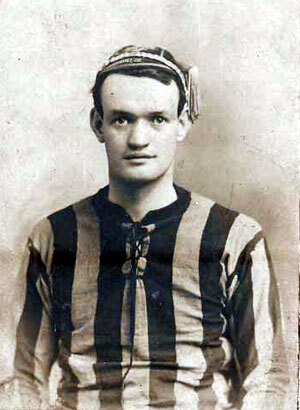 Born in Dublin, O'Connell played in the backline for Belfast Celtic in the early 1900's, before he was transferred to Sheffield Wednesday, along with left-back Peter Warren, joining the Hillsborough club for the combined fee of £50. After three years there, he moved to Hull City where he was spotted by Manchester United, who parted with an incredible £1,000 to secure his services. He was a proud Irish international and the most famous of his six appearances came in a 6-1 walloping of England in 1912, where he played with his Belfast Celtic and Man Utd colleague Mickey Hamill. 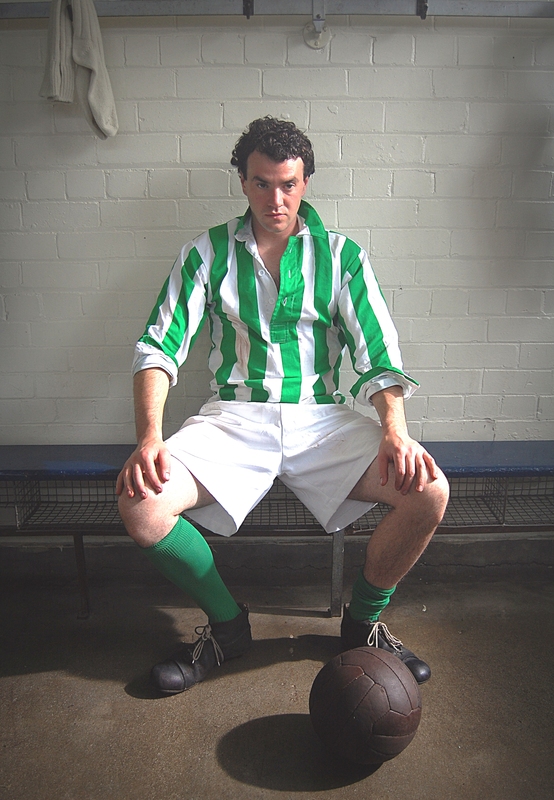 In 1914, just before the outbreak of the war, O'Connell braved a broken arm to Captain Ireland to victory yet again against England, at Middlesborough's Ayrsome Park, in a 3-0 win. After spells at Dunbarton and Ashington, O'Connell travelled to Spain in 1922 as manager of Racing Santander, who would help found La Liga with O'Connell at the helm. After spells at Real Oviedo and Real Betis, Spanish MP Josep Sunyol, plucked Paddy to manage the side he Chaired and on the outbreak of the Iberian civil war, after Sunyol was murdered, a lucrative tour of North America, led by O'Connell, secured Barca's financial future. Belfast Celtic Chairman Padraig Coyle (left) gets a grilling from presenter and actor Tony Devlin and the team from Tobar Productions in the Belfast Celtic Museum. 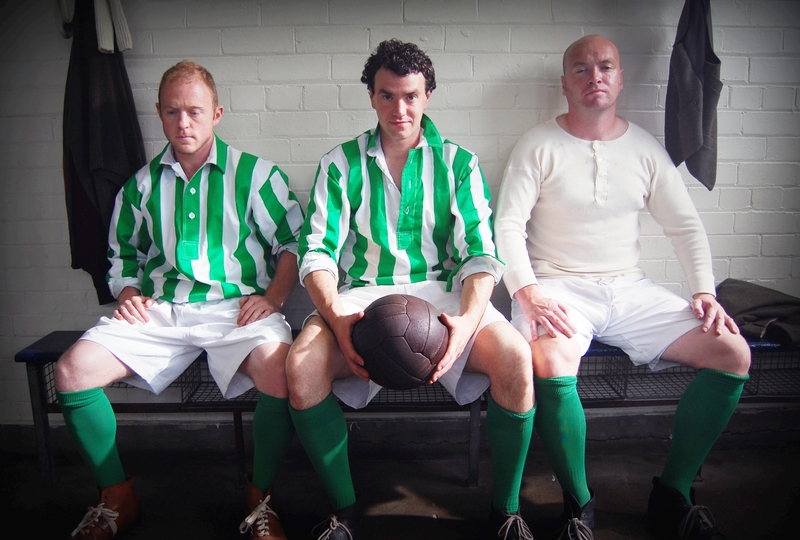 Actor Eoin Geoghan (right), stars as Paddy O'Connell in the new TG4 documentary about the Belfast Celtic legend. Here, he gets the lowdown from Belfast Celtic's manager, played by actor Vincent Higgins, who recently starred as Linfield's trainer Gerry Morgan in Lish and Gerry at the Shrine, written by Belfast Celtic Chair Padraig Coyle. Actor Eoin Geoghan (centre) will star as Belfast Celt Paddy O'Connell, in a new documentary for TG4, produced by Belfast based Irish Language production company Tobar. Even though many of his players accepted political asylum in the USA and Mexico, 'Don Patricio' returned to Catalunya to help re-build the team and the club. A final spell in management at Sevilla would see a second place La Liga finish, but despite his starry career as a player and manager, O'Connell faded into obscurity and now lies in an un-marked grave in a cemetery in Kilburn in London. Moves are being made to mark the resting place of this giant of Irish football and the Belfast Celtic Society will be part of the plans, assisting financially with the erection of some form of marker or headstone, in conjunction with the O'Connell family. Presenter Tony Devlin believes, "Although they went out of business over 60 years ago, Belfast Celtic is still alive and well in the memories of lots of people. "As a Belfast man and a Celtic supporter, It is a great honour for me to tell the tale of one of its finest players. "Belfast Celtic was where Paddy O'Connell would ply his trade before coming to the attention of two of the worlds biggest footballing names, Man Utd and Barcelona. 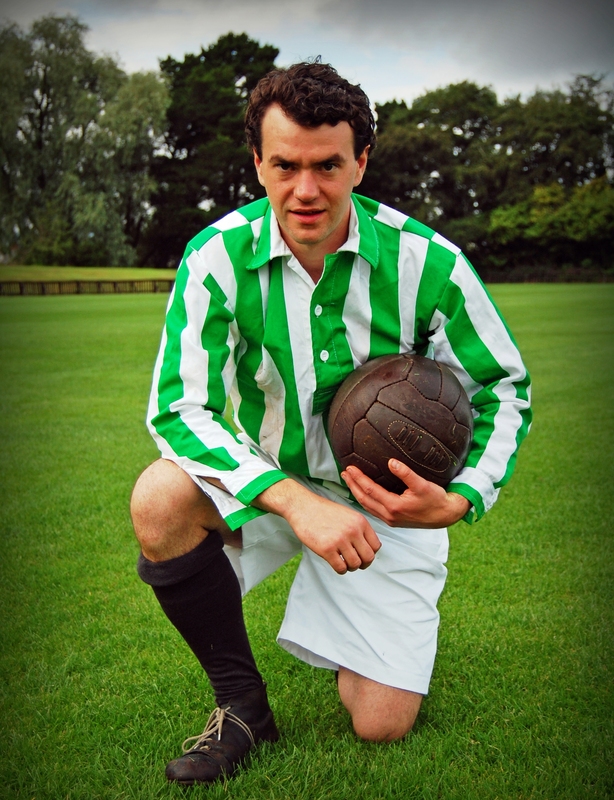 Actor Eoin Geoghan, starring as Belfast Celt Paddy O'Connell in a new TG4 documentary. "This mans incredible story takes us on a journey from lowly, humble beginnings to football stardom, to heroism and bravery in his fight against facism during the spanish civil war. Stories like Paddy O'Connell's cannot be lost in the annals of history." To find out more about Tobar Productions, click online at www.tobarproductions.com.